Home / Internet / How To Add Location Extensions In Adwords? Adwords is a powerful tool provided by Google to market our products and services easily. In the recent time, Google starts to update their various products with new advancements. Here we are sharing some important information related to How To Add Location Extensions In Adwords. What is Location Extensions in Adwords? The location extensions used in Google Adwords help the businesses to include their location along with their Google Ads. Today we will help you to understand the need for location extensions and the best ways to use them. Why Location Extensions Important In Google Adwords? The location extensions in Adwords help you to get in touch with your potential customers locally. The SERP rankings according to the local search traffic will give you the benefits. Most of the people who are searching the internet using Google for a particular product or service or a business can easily locate you. And the Google AdWords with location extension will have a clickable phone number which will be seen on the mobile devices. So the location extensions in Adwords will attract the local customers easily. How To Add Google Adwords Location Extensions? Adding location extensions to Google ads is really easy. We need to create it at the campaign level. 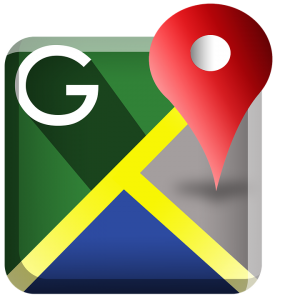 We can add the location using the Google places account or by creating a new list. If you are syncing the Google places account then it will contain all the information about your business. After adding the location extensions you will get the data about specific extensions. You can use various map icons and business images for your location extensions. If you are using clickable elements for your location extensions and it must match your branding and landing page experiences. Your campaign settings will help you to identify the potential customers easily. Here the reports will also help you to test various favicons and business images according to the campaign. In the updated Google Adwords platform we can see various campaign types. If your ad has a chance to shown in local search queries, then the use of location extensions will help you to reach more customers. This will support your local online marketing efforts. We can check how each campaign can do better by using location extensions. 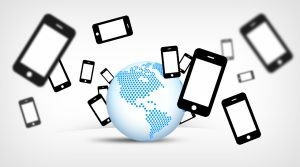 The mobile campaigns will have a click to call action, which helps the potential customer to connect you with an ease. In this way, most of the companies got a good return on investment. The mobile campaigns are providing good results when we compare with desktop ads. The content network ads can show location extension information which can be monitored easily with the help of reports. If you are planning to advertise for a chain of stores then you need to map the campaign strategy. So here you need to identify the local traffic and the returns that you wish to get back. The priority here will be given to ROI, geography, the budget for AdWords etc. In each campaign, you can add up to 4 locations. And if you are adding 4 different locations then you should take care of each location that must match all the keyword targets set up in the campaign. If you are adding 4 locations then you should also describe the offers or products in your ad copy as well as keyword lists which helps Google to serve the Ads to a relevant location easily. Here each place has its own specialty and the product set or service you provide for them may differ in some cases. For an example, if you are focusing on a remote area, then the high price tags may not work. And if you are focusing on any cities then they may accept some high price tags. So preparing campaigns will also need to do a little homework regarding the geographical location and the people’s mindset which will help you to get better results. You could also activate the messaging section in which you can respond to each query easily. This will improve the return on investment that you expect from Google Adwords. If you are enabling location extensions in a large and complicated campaign setting, then you should take an extra care and work volume. But most of the cases the local search volume always give better results for your work. That’s why enabling Google Adwords location extension is the best way to tackle the local search.